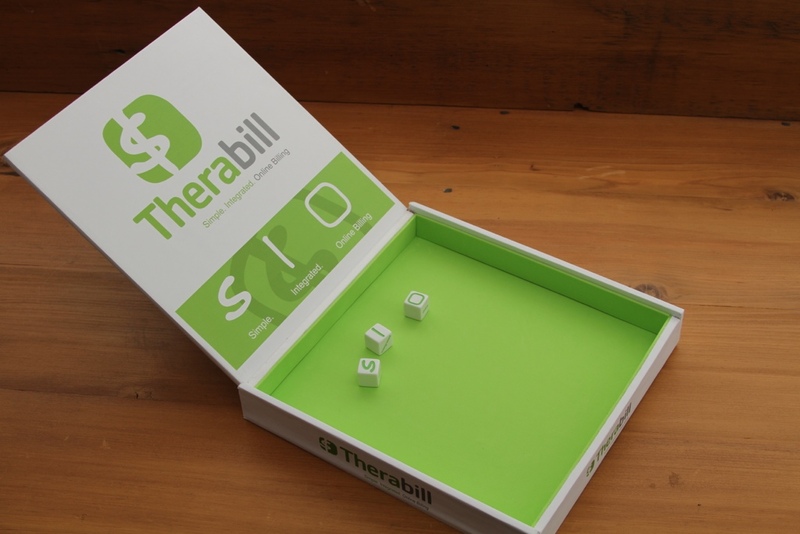 Custom Dice Game – Therabill – Mock Design Group, Inc.
Not only did Mock Design create it, he (Bill Mock) played a huge role in coming up with the idea. We at Therabill were looking for a fun game to play at a convention. The convention was going to be at the Wynn Hotel and Casino in Las Vegas. it was largely Bill Mocks idea for the dice game. He put everything together and delivered a beautiful dice board (case) along with custom engraved dice. Therabill cannot thank Mock Design enough for everything they have done for us.